Chances are, you often ask your phone or computer to look things up for you. With voice assistants getting better and being more widely used, more people are interacting with their voice. But what does that mean for your website? Google actually reported that 20 percent of mobile search traffic is prompted by voice command. And that’s a number that’s likely to grow as more people interact with voice interfaces. It also means that you need to design your website to work for the way people talk. To make the most of what people are saying to find your website, you need to think about how they say it. Many voice prompts, searches and commands come in the form of questions. Where is the movie theater? What colors are in a rainbow? Your website needs to incorporate common questions related to what you do as part of the content so that when people search, you can provide the answer. Which leads to the next part of voice optimization: You need to provide easy answers to questions. Long, convoluted answers using uncommon or jargon-filled language won’t do. Answers and information have to be conversational, making it even more important that you create quality content. The type of content that voice users are coming to your website for might be a little different than other popular pages. Consider ways to take users from pages they land on thanks to voice optimization and how to move that traffic to other key content. Users will get to your website because of these things. It is up to you to plan engagements on these pages to get them to the parts of the website design that meet your end goals. An easy way to create question and answer elements for your website it with actual Q&A style content. Frequently asked questions and question and answer interviews are a good way to create content that works with voice prompts and search. Think about the most commonly asked questions and answer those first. Make sure to include answers to questions so that the content appears linked and at the top of pages. Don’t hide content just because it is directed at voice users. Remember a considerable number of people are using their devices to look for information in this manner. For more complex questions, consider single page formats with a question and answer. These content bits can make great blog posts. A long tail is a group of words that are commonly related in common speech. There are plenty of specific phrases that relate to a single keyword that add descriptive characteristics related to how people actually talk. Make the most of long-tail search by using words throughout your website that describe what you do, features of your product or service, benefits of the product or service and make sure these phrases are in proper English and use common phrases and structure. The long tails need to read in the way people talk about things related to the information on your website. As with any other type of content page, use text and image elements to link back to keywords. Include charts, tables or graphs where relevant. The more elements that relate to a piece of content in a quality way, the easier it will be for search engines to index that content and serve it to voice users. Remember to think about location as well. 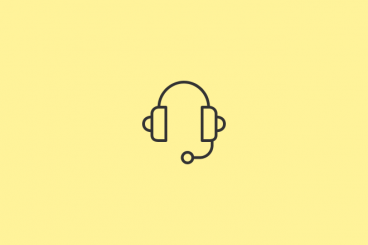 Go back to these common microinteractions between users and voice-based needs. Many play on the idea that the user wants information quickly in a location near to them. When you create and keyword content, don’t forget to mention where you are (if it is relevant). The most common way users get to your website from a voice-activated question might be from snippets. Snippets are those little blocks with answers to questions or relevant information at the top of Google results. By providing solid, relevant information, your content can appear in this prime location. Common snippet information includes answers to financial or math problems, requirements, processes or rules for something, health-related information and do-it-yourself hints. Another way to optimize your website for voice doesn’t happen on your actual website at all. Claim your “Google My Business Page” if you have a website that links to an actual location. Make sure all of the information on the page is up-to-date and relevant and included categories and photos to help establish your website as an authority in your field. Having an actual location gives you extra credibility as a real entity and links users to a location (remember how much of search is time and location sensitive). Here’s a simple and practical tip. The content will ask and answer a question that’s a natural fit to your content and unique to your website. Transcribing the video will help you think about what natural conversation looks, sounds and reads like, so you become more in tune with how to create text that is more like what people search for. So while this article isn’t specifically about boosting your website’s search ranking, voice optimization comes with that added benefit.